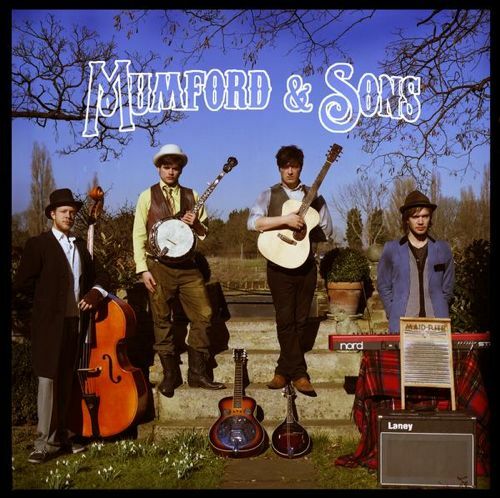 If you haven't heard the name of the band - Mumford and Sons - you've most likely heard their famous single (at least on this side of the pond), Little Lion Man. It is, undoubtedly, a great song, but there's always more to a great album than the pop-chart's top 100. Their recent full length album, Sigh No More, is a classic case in point and further proof that many of my favorite musical works (not to mention literary), have come out of the UK. But no need to geek out too much for this post. I have but a few modest observations about the aforementioned album. Music and literature - no matter where its origin - often captivate listeners and readers by appealing to implicit or explicit religious (and more often than not Christian/Biblical) references, something I write about frequently via movies and books. It appears, at least from this listener's point of view, that Mumford and Sons has some deeply seeded religious connotations, if not out right Christian references in their latest work. Grace has been defined many ways: substance, disposition, an attitude, the favor of God, by way of acronym (God's Riches At Christ's Expense). With the exception of substance, I think you can find a fullness (even a plethora!) of the Biblical reality of the term by doing a simple word study in the Scriptures; Greek is preferred of course, but you could easily accomplish it with a good English concordance. And though many definitions could be given, sometimes a simple story works best: the Parable of the Prodigal Son, also known as the parable of the two sons is sublime in this regard. Mumford and Sons either intentionally or inadvertently, struck upon the main theme of this parable. Every good story, as Tolkien reminds us (didn't think the geek could stay away too long did you!? ), has the 'turn.' The sudden switch of events from darkness to light, from death to life, from sorrow to joy. That's what he calls the eucatastrophe - a joyous catastrophe. Think of the Stone Table in Lion, Witch and the Wardrobe or the rising of Gandalf from the abyss of Moria. Many times the 'turn' rises and falls until one final climactic ending (joyous or tragic, etc.). In fact, a superlative story may have multiple turns. The lyrics above may even be such a 'turn' with in the song itself. One thing's for sure, the story those words came from is definitely full of twists and turns. There was no time for deal making with the father. He would have none of that. He runs; and this joyous sprint, as with everything else the father does afterward, is no small gesture; in fact, it is what the catechism calls Fatherly divine goodness and mercy without any merit or worthiness. Jesus came for outcasts, sinners and prodigals. And His embrace is the welcome home that changes the heart, from lost to found, from death to life, from sorrow to joy. Sigh no more. 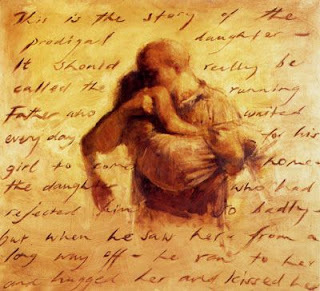 Great is the love that the Father has lavished on us, that we - his prodigals - should be called His sons, by the death of His own Son. "I gave you all." Indeed, He embraces you in His life-giving death. Welcome home to the beauty of love as it was made to be. “Your Word is a Lamp to my feet and the Light to my Path” (Ps. 119: 105). He could have just as easily written: Your Jesus is the Jesus to my feet and the Jesus to my Jesus. At least that’s how John sees it – and how Jesus wants you to see it too. Your Sunday school teacher was right all along…it really is all about Jesus. It’s not the spiritual equivalent of build-a-bear: wise-teacher Jesus, world-peace Jesus, buddy or homeboy Jesus, or CEO Jesus. No, none of that will do. You need a Crucified and Risen Jesus who suffered and died for you even though you deny him like Peter, doubt him like Thomas, or follow your own way like Philip. Jesus is the Way, for there is no other way. Jesus is the Truth – not your own personal truth, but the Truth that defines the very word. Jesus is the Life – and your life is entirely wrapped up in His death and resurrection from the grave through Baptism. This is the kind of Savior you have in Jesus. And you don’t have to go far to find Him. He is revealed in the water and the Word, in the body and the blood, in the Scriptures. He is the Word made flesh, the Light of the World, the true Vine, the Resurrection and the Life, the Good Shepherd, the Door, the Lamb of God, the Bread of Life; and in today’s reading, He is the Way, the Truth, the Life. He is all of this, FOR YOU. And all that He is points to His cross. The great confluence of the Old and New Testament; the very hour for which Jesus was sent. The way to the Father is paved by His Only-Begotten Cornerstone; everything is filtered through bloodstained Good-Friday-glory goggles. That’s God’s idea of glory; that’s the manner in which He loves you – a throbbing painful, suffering, bleeding and dying-for-you, kind of love. Jn. 1 – Moses cannot get you into the Promised Land, for that you need a Joshua, a Yeshua, Jesus, full of grace and truth. Jn. 3 – The Truth is that the Son of Man must be lifted up on the tree of the cross. And the Kingdom of God comes to you and Nicodemus by Water and Spirit. Jn. 4 – True worship is found at the feet of Christ Crucified. Jn. 7 – Jesus speaks with authority and truth, just as He is sent by the Father. Jn. 8 – When you hear Jesus’ you hear the Father, you hear truth. Jn. 16 – Jesus sends His Spirit. Where there’s Jesus, there’s the Spirit of Truth. Jn. 19 – John’s entire testimony about Jesus is true. Notice a pattern here? Jesus is the Truth, the whole Truth and nothing but the Truth. These things are written that you – his disciples, from the upper room to Huntington Beach - may believe that Jesus is the Christ, the Son of God, and by believing you may have life in His Name. So, there’s Thomas and Philip. Thomas asks the question that He should’ve known the answer to all along: “Lord, where are you going? How can we know the way? And Philip wants some further witness to everything Jesus has said. “Lord, show us the Father, and it is enough.” Both men reveal their unbelief. Even though Thomas wants to know the way, he is clearly lost. And Philip is blind. “Lord, Show us the Father.” There’s the great irony: he was already seeing the Father. “Have I been with you so long, and you still do not know Me, Philip? Whoever has seen Me has seen the Father.” That is the great sadness: he didn't believe it. What God has done and is doing is more than sufficient. It is sufficient for Phillip's sins, for his doubts and worries and concerns, for all his inadequacies, failures, and regrets; and for all of yours as well: troubled schools, troubled pocket books, troubled marriages and lives, troubled doctor’s visits. Let not your hearts be troubled. For what Phillip, and we, are not willing to do - that is to fear love and trust in the goodness of the Lord and His promise to make all things new - Jesus was. Jesus was willingness to die, to go as a Lamb to the slaughter, to turn the other cheek, to take on the guilt of guilty men who reviled Him. His willingness to die, to be the Sacrifice for sins to restore us again to the Father, is how the Father is shown and known. It is sufficient to pay the ransom, to defeat the devil, to open heaven. Jesus’ death and resurrection is your guarantee that the place prepared for you in Father’s House will never go into foreclosure. Painful as it was, the disciples needed Gethsemane and the trial. They needed Jesus to die. And still in their sinful flesh they needed to see own failure and shame. They needed all that before Easter and the peace and the breathing out of the Holy Spirit. It was what was good and best for them. It was sufficient to make them both saint and apostles and martyrs, to be the foundation of the Church built on Jesus Christ, the Cornerstone. Jesus works the same way for you; He makes you His saints. He does all the work and you get all His glory. He sends His Spirit to find the lost, to place His Word of truth into the mouths of liars and give His life to the dead. For you who were lost, Jesus is the Way; for you who were caught in the Liar’s snares, He is the Truth; for you who were dead in sin, Jesus is your Life. The disciples came to know this after the resurrection, the trial, the beatings, the burial the 3 day’s rest, the angels the women at the tomb; Jesus appears. He is risen. Jesus opened their minds and their eyes to see Him - the Way, the Truth and the Life – in all the Scriptures. They understood. Open eyes. Open minds. Open mouths. That’s the pattern of Jesus’ disciples, yesterday and today. “Lord, Show us the Father.” And Jesus does. The Way to the Father is found in the font (for Ava and Tana today). A new Name and a new life are yours. 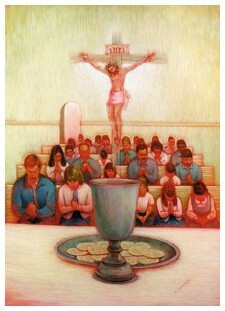 Here at the altar – Jesus feeds you with His true body and blood. Here in His Word, Jesus breathes the Father’s Word of life into your ears. Receive and speak. Take, eat. Take, drink. Hear. Now, go tell. For you are not the only ones who need to hear. There are others who are lost the way you once were, liars and foolish according to the flesh, without life or hope. This is why St. Peter exhorts us to be living stones. You are Christ’s living sacrifice. This is the liturgy of your daily life. Your vocation, your calling as father, mother, son, daughter, worker, citizen, worshiper. You’re a priest. Consecrated by the in Baptism and by the Word of God and prayer. All the ordinary stuff in your day to day work is holy because you are holy in Christ. So, priestly work doesn’t just happen on Sunday morning or whenever you’re at Redeemer. Priestly work goes on wherever God has called you to be a priest - at home with your children, in your community, in your workplace, in the classroom, on the playground, with friends, family , coworkers, neighbors. You are priests of God blessing, teaching, praying. Consecrated in Baptism you worship God, pray, praise, give thanks, bless others, teach others. That’s what priests do. And more importantly, that’s who you are in Christ: A chosen race, a royal priesthood, a holy nation, a people of God’s own possession, that you proclaim the excellencies of him - the Way, the Truth and the Life - who called you out of darkness into his marvelous light. And though St. John the Evangelist saw many strange monsters in his vision, he saw no creature so wild as one of his own commentators. So, here's a little more cannon fodder to commemorate May 22nd. Read. Aim. Fire. At center ring of this week's Armageddon menagerie is Mr. Harold Camping. That's right: he's baaaaack! After a failed attempt to correctly predict the end of the world in 1994, Camping has been hitting the airwaves on Family Radio, billboards, and other media outlets announcing that the end of the world (again) is actually going to occur on May 21, 2011. It's rapture redux or eschatological déjà vu—only, drop the "e" and the "h" to decode the hidden message (it's really not funny if I have to explain it; so, go look it up). Add this to an already infamous list: Mayan calendars, really, really, really (to the nth power) bad Kirk Cameron movies, books, T-shirts, even bumper stickers. So, what happened to that bestseller “1994?”? Mr. Camping, by his own admission, doesn't know why God led him to write that book. Perhaps it wasn't God that had him to write it at all. What do you think, Church Lady? Well, it could have been, hmmm, Satan?! With friends like these, who needs enemies? It’s true, Christians no longer need to be parodied; many (tragically) do a terribly good job on their own, something even atheists have picked up on. For a modest fee, you too can purchase rapture pet insurance just in case you leave behind your house or car and don't believe that all dogs go to heaven (sorry, Fido). But all of this is peripheral. Forget that Mr. Camping sounds a little bit like Emperor Palpatine (May 21st is your destiny), forget the Jesus junk and all the ad hominem (as fun as it is); this is a serious problem, an obsession or worse. And it's not just Harold Camping and Family Radio. Last week it was the Left Behind series; next week it will be someone else. These apocalyptic predictions are an inherently perennial part of a particular theological (and perhaps psychological) disposition. If the Historical-Critical Method is guilty of a hermeneutic of suspicion (the Elvis hermeneutic)—and it is—then Camping is guilty of attempting to decipher and distribute a hermeneutic of conspiracy (the JFK hermeneutic). It appears that no one can translate his enigmatic statements but himself, which present both logical and theological dilemmas. To paraphrase C.S. Lewis’s warning about devils in The Screwtape Letters: There are two equal but opposite errors into which our Church can fall regarding the Last Day. One is to disbelieve in its existence. The other is to believe, and feel an excessive and unhealthy interest in it. Satan is equally pleased by both errors. See if you can follow the eisegetical shell game: According to Camping, the year of the flood was 4990 B.C. ; Genesis notes that God gave seven days’ warning to Noah before boarding his gopher-wood life raft; the Psalms say that a day with the Lord is like a thousand years and a thousand years is like a day; therefore, according to Camping Math, a seven-day tsunami warning for Noah means seven millennia for us; add 7,000 years to 4990 B.C. (BCE for you PCs)—don’t forget to eliminate the zero since there is no year zero—put it together and what’ve you got? Bippity, boppity, 2011. Camping also says, “Amazingly, May 21, 2011 is the 17th day of the 2nd month of the biblical calendar of our day . . . and the flood waters also began on the 17th day of the 2nd month in the year 4990 B.C.” “It's a biblical guarantee,” he alleges. The question is not: Are my numbers right; is Camping crazy; how do I feel about the end times; but, is it true? After all, there are many numbers in the Bible, and not all are symbolic; and just because some words or numbers are doesn’t make every word a symbolic code in need of decryption (for more on this read Luther below). Furthermore, Camping claims to speak for God as a Christian in the Christian Church. His prophecy ought to be evaluated on the criteria of true/false prophets. (By the way, I’m not running for the president of the Spanish Inquisition). Hopefully, most people will realize that Camping is not in any way representative of historic, orthodox Christianity any more than the Real Housewives of Orange County actually represent normal women in Orange County, CA. Sadly, some will follow the whims of their itching ears and chase after false teaching. In this manner, Camping harms the Church’s teaching and preaching of the Gospel and in the process, exposes himself as a false teacher (one for whom we should pray for mercy, repentance and forgiveness) revealing the way many view the Scriptures, and by extension, Christ Himself. "Therefore" is the key word. Keep watch. Be sober-minded. The Church keeps her lamps trimmed and burning. She is gathered around Christ’s clear and faithful Word, to receive His body and blood, to bathe daily in the waters of Baptism. And she works while it is still daylight, especially for those who yet remain in darkness. For this is no doctrine of shock and awe. Its purpose is not found in exasperating fear in the hearts of Christians, but repentance, forgiveness and comfort in these gray and latter days. A prophet is only as good as his word: Does the prediction come true? In the case of Harold Camping we must say, based on his prior record, no. There is no evidence that he will be vindicated this time around either. However, when it comes to Jesus, the prophet par excellence, we must answer unequivocally, yes. He is no ordinary prophet, no conjurer of cheap tricks, but the Word made flesh. He predicted that He would be delivered into the hands of sinful men, crucified, dead and buried, and on the third day rise again. And. He. Is. Risen. And now for something completely different. Today’s E-nkling post is brought to you by the letters: Lutheran Satire and the number My 4 Apocalyptic Ponies. Call it philosophical predestination or presuppositional determinism. 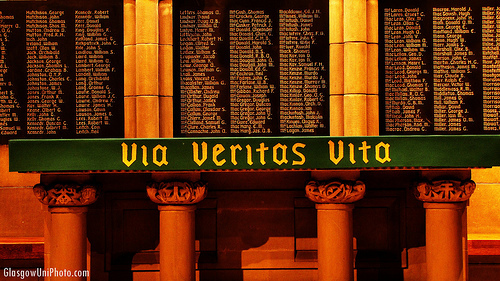 The dogma of the skeptic is based on alleged authority: reason, science, and so forth. They have their own apostles and disciples, even their own centers of worship. Lewis makes a similar point in the opening chapters of Miracles. If you rule out a priori the possibility of miracles you have every characteristic of a fundamentalist, just with different dogma. In other words, to quote the popular hymn writer Everlast, "You know where it ends, it just depends on where you start." I've covered some of these presuppositions in a previous post on the miraculous called, "The Question Behind the Question," and hope to cover more in a follow up soon. Materialists, to paint a broad category and feather Hawking into it (and we must for this short examination), are just as --- and perhaps even more --- zealous in their adherence (dare we say, faith and belief) to the modern definition of science as any given member of any given religion/religious people may be. For, "In their doubt of miracles there was a faith in a fixed and godless fate; a deep and sincere faith in the incurable routine of the cosmos. The doubts of the agnostic were only the dogmas of the monist." (Orthodoxy, 133) In Hawking's case it appears to be more pointedly the scientific monist. Therefore, Hawking's remarks shouldn't surprise anyone who has read, or even heard of, his most recent book The Grand Design, which essentially deifies science as the sole explanation for everything in the universe. But this thesis itself begs the question: If science is based, in large part, upon the present --- how one observes and tests repeated events --- how can one determine what happened in the past without using historical methodology much as you would for any event? To quote a good friend, "Is not scientific law based on observable and repeatable events? The next time I set off a stick of dynamite and the explosion produces a living breathing chicken, I might consider the scientific explanation of existence to be possible." Until then, we'll just let the particles keep spinning in circles at Stanford and the Large Hadron Collider in Europe. Which reminds me of another great Chesterton quote: "It is absurd for the evolutionist to complain that it is unthinkable for an admittedly unthinkable God to make everything out of nothing, and then pretend that it is more thinkable that nothing should turn itself into everything." GUARDIAN. You had a health scare and spent time in hospital in 2009. What, if anything, do you fear about death? HAWKING. I have lived with the prospect of an early death for the last 49 years. I'm not afraid of death, but I'm in no hurry to die. I have so much I want to do first. I regard the brain as a computer which will stop working when its components fail. There is no heaven or afterlife for broken down computers; that is a fairy story for people afraid of the dark. 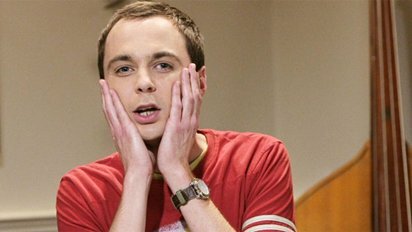 One could easily pull a good old-fashioned switcheroo on Mr. Hawking's statement to make the opposite point: "I regard the brain as a computer which will stop working when its components fail. There is no theory of evolution or Darwinian natural selection for broken (or functional) computers; that is a fairy story for people afraid of the dark (or Divine accountability)." You see the point? How much more evidence does he have for his truth claims than what Christians have for any afterlife? Where is the evidence for the truth of Darwinian evolutionary theory? Why do proponents react so harshly to any attempt at real science that may challenge such entrenched ideology? Recall that clever --- and well produced --- documentary, Expelled, by Ben Stein (a non-Christian by the way). Contrary to Hawking's trust in his field, there simply is no monolithic beast we call "science" out there. The beauty of it all is, though, that we are not working with different evidence. The materialist and the Christian (just to name two) scientist look at the same observable data but arrive (often, though not always) at radically different conclusions. As an explanation of the world, materialism has a sort of insane simplicity. It has just the quality of the madman’s argument; we have at once the sense of it covering everything and the sense of it leaving everything out…He understands everything and everything does not seem worth understanding. His cosmos may be complete in every rivet and cog-wheel, but his cosmos is still smaller than the world. . . .
Or do they? Perhaps in a moment of glaring honesty. Perhaps if you could push them to the wall in an argument. With their backs against the wall, behind the confidence of scientific knowledge lies the existential certainty: Taxes. Death. And the wild inconsistency we call daily life. 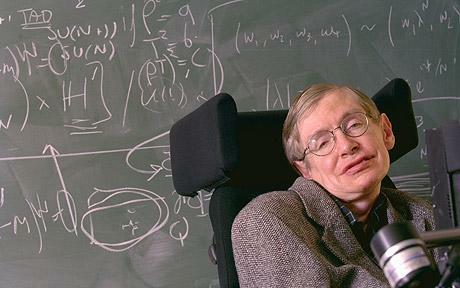 Hawking says so himself: "I'm not afraid of death; but I'm in no hurry to die." Who can blame him? Very few are in a hurry to die. Death is called the last enemy for a reason. But thankfully he is a defeated foe. You don't find fatalism --- either the gleeful or desperate kind --- in orthodox Christianity. It was not mere Christianity that was responsible for epicurianism, nihilism, or any other ism for that matter. One need only look across the killing fields and the smokestacks and the mass graves of the 20th century to see where the logical conclusion of Hawking's beloved Darwinian theory has left (and continues to leave) its cruel mark. Tragically, this is not a fairy tale. The Gospels contain . . . a story of a larger kind which embraces all the essence of fairy stories. The birth of Christ is the eucatastrophe of Man’s history. The Resurrection is the eucatastrophe of the story of the incarnation. This story begins and ends in joy. It has pre-eminently the inner consistency of reality. There is no tale ever told that men would rather find is true, and none which so many skeptical men have accepted as true on its own merits. For the art of it has the supremely convincing tone of Primary Art, that is, of Creation. To reject leads either to sadness or wrath. . . . It is not difficult to imagine the peculiar excitement and joy that one would feel, if any specially beautiful fairy story were found to be “primarily” true, its narrative to be history, . . . the joy would have been exactly that same quality, if not the same degree, as the joy which the “turn” in a fairy story gives: such has the very taste of primary truth. It looks forward (or backward) to the Great Eucatastrophe. The Christian joy, the Gloria, is of the same kind; but it is pre-eminently (infinitely, if our capacity were not finite) high and joyous. Art has been verified. God is the Lord, of angels, and of men --- and of elves. Legend and History have met and fused." 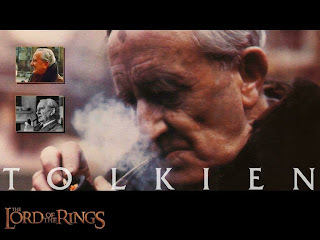 Tolkien, On Fairy Stories. P.S. Mad props to Andrew DeLoach, Esq. for the superb editing. This is the city. Westminster, California. The location: Beach Blvd. and 19th Street. The following names are fictitious, but the stories they tell are real. Charles: Hey, did you hear the good news? Charles: We just put up a brand-spanking new billboard in Westminster. Charles: Oh, the Orange County Coalition for Reason, a local atheist organization. We’re showing our support for all the non-theists who might drive by. Lewis: I’m not sure that exists. Charles: Well, I’ve got the evidence right here; it’s right around the corner. Lewis (looking up at the billboard): Well, how do you think it got here? It doesn’t appear to have been a product of random chance and natural selection. Charles: Well, of course not; it was professionally designed and only for around $6,000. Lewis: Apparently, even an atheist’s billboard can’t explain its own existence. Snarky as it is, the brief discussion above summarizes the worldviews of those around us: one side (or many) says, “God exists;” the other says, “there is no God.” Having a meaningful discussion about anything by means of a billboard is like trying to talk to a wookie without Han Solo around; something is always lost in translation. Most billboards entice you to buy, sell, trade, or believe in something or someone. But now in Westminster (and several other U.S cities.) atheists (ahem, non-theists for all you politically correct folks) are inviting people to join them in their unbelief. “Don’t believe in God? You are not alone” – brought to you by the Orange County Coalition for Reason (OCCoR). Ironic as it sounds, various forms of “atheist evangelism” are increasingly common, from the respectful to the antagonistic. Recall the Atheist of America slogan this past Christmas: “You know it’s a myth. This season, celebrate reason.” Atheism is progressively becoming a part of daily life for Christians who previously had little or no contact with unbelievers of any stripe, let alone the more vocal, and in some cases arrogant, voices of modern atheism (such as the New Atheists: Christopher Hitchens, Richard Dawkins, Sam Harris). It’s time for Christians to get back to the discussion table – not via billboards or e-mails, but by way of serious, academic, scholarly debate (and popular level apologetics too, i.e. Josh McDowell). Atheist turned theist, Antony Flew, once commented that, “The person who claims that there is a God has the burden of proof to show that that’s the case. However the difficulty with trying to put the burden of proof on the atheist is that it is impossible to prove a negative and therefore that makes us rather smug.” He’s right on both accounts. The active burden of proof rests entirely upon the person who asserts God’s existence. And in the case of historic, orthodox Christianity, this is an assertion and burden we gladly ought to accept, invite and defend with the preponderance of archaeological, historical and empirical evidence on our side. 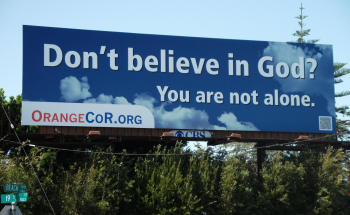 But before we can answer the existence question in more detail, how should Christians react to this billboard (or other kinds of atheist “outreach”)? Initially, there are a few problems with the sign, logically speaking. For one thing, if you think God doesn’t exist, why spend so much time, energy and money to attack a God you don’t believe in anyway? But more importantly, who is the sign referring to? Which “God” are we talking about here? There is no generic “God” appealed to by all religions. They’re not all the same, you know. It is entirely possible that all the world’s religions could be false, but they simply cannot all be true; that’s a logical impossibility. They believe, teach and confess mutually contradictory propositions of truth. And lastly, the sign is a claim to truth. But is it true? Is there any evidence to suggest that God does exist and if so, is the evidence worth looking at and investigating? And that is something that can’t be advertised on a billboard. Maybe you’ve seen these things and you’ve been offended, become angry, disgusted, or even laughed and shrugged it off. Some have even gone so far as to say, “If I had it my way, I’d ban these kinds of signs.” Really? Is that the best course of action? Hardly. Since when is it beneficial to Christianity silence her opponents? Christians need to be ambidextrous in handling this issue. In the kingdom of God’s left-hand rule (His use of government and rule of law) – at least here in the United States - billboards, books, etc. are protected under the first amendment. And that is a good thing. It frees the Church (God’s right-hand rule/kingdom) to proclaim the Gospel clearly. Christians are afforded the same access to free speech that the atheist is. The very minute Christians use legal means to ban or enforce policy against atheist’s signs, the next minute those same laws will be turned on Christians. “Alright, then; let’s get some eggs and toilet paper and go junior high on that sign!” Really? Defacing property is never a good idea. It can get you in serious legal trouble, not to mention, it’s wildly Pharisaical. How many Christian church signs and buildings have been tagged, vandalized or mutilated? In this life, the Kingdom of God suffers violence, but she ought not to return violence on her enemies. And while we are in the Church Militant, this means we fight with the Sword of the Spirit, not spray-paint bottles and fresh, free-range extra-large eggs. As I mentioned earlier, this is a discussion Christians should gladly welcome. And you should never walk into a discussion unprepared. Remember, Jesus never called you to check your brain at the door, nor is He asking you to make a wager or take a blind leap of faith into the dark. He has called you into faith, a life-giving faith fixed in Christ Crucified, His Word and Sacraments and history. And that faith continues to seek the truth of God’s Word; in other words, don’t let your “Sword-of-the-Spirit-skills” become rusty. Read. Mark. Learn. Inwardly digest – not only the Scriptures, but books and resources that will equip and prepare you to declare and defend the truth in any situation. There is the Cosmological argument. Everything is in motion and movement, cause and effect. Therefore, there must be a “Prime Mover” or “First Cause.” However, this might only lead to a Divine Billiard Player. There is the classic Ontological argument, espoused by Anselm. “God is than which no greater exists. In consequence, God possesses all properties. Existence is a property. Therefore, God exists.” Besides any fallacies involved here, please let me know when that makes sense and you can teach me what in the world that means. In recent years, the Teleological argument has been gaining ground through the Intelligent Design movement. To be fair, this is not creationism (that’s something entirely different). Essentially the universe exhibits every characteristic of order and complexity and therefore must have a designer. But this ultimately yields nothing other than a Divine Watch Maker. This is not to say that Intelligent Design lacks strength. Much has been written by scientists such as, Michael Behe, in this field. Through studies in molecular biology he has coined the term irreducible complexity to explain the evidence of design in molecules and in DNA coding (the blue-prints of life). All of this would have been astronomically improbable to have occurred through random chance and natural selection, no matter the length of time. Never mind the side-bar discussion that evolutionary theory can become every bit as much of a religion as a fundamentalist fill-in-the-blank; and evolutionary theorists can (and in many cases, are) every bit as zealous as their religious arch enemies they so often decry. There is also the Contingency argument. In other words, nothing explains its own existence (including billboards and Big Bang theories). Therefore, ultimately an absolute, non-contingent, existent God must be regarded as the final explanation of a world where everything is contingent. And lastly (for now), the Moral argument. C.S. Lewis takes this line of argumentation in the opening chapters of Mere Christianity. If you want to know to know where the objective categories of right and wrong come from you must have a transcendent God who establishes such rule and law, otherwise right and wrong are left to subjective means of interpretation. Or think of it as the Law above the law. To be sure, these arguments have their place in the apologetic task. However, the trouble with all of these arguments (and there are plenty others) is twofold. First of all, they are, at best, corroborating evidence to the main point: that God has entered history and taken on human flesh in the person of Jesus Christ, claimed to be God and backed this up by dying and rising from the dead and then appearing to over 500 witnesses afterwards. That’s where apologetics ought to begin and end. And secondly, knowing or believing in a generic “God” gets you no closer to Jesus Crucified for sinners than knowing Swedish actually helps you understand an IKEA instruction manual. A generic “God” gets you nowhere theologically speaking. Theism is not Christianity. Sadly, there will probably be a lot of good theists in hell. For “Even the demons believe, fear and tremble” (James 2:19). The danger is to stop with the arguments for God’s existence and never get to the Gospel. In fact, Christianity is not primarily concerned with proving God’s existence. Even though the evidence for Christianity, over and above, outweighs the evidence against it. Christianity is primarily concerned with proclaiming “that God was in Christ reconciling the world unto Himself, not counting their trespasses against them” (2 Corinthians 5:19). That is the good news that was preached to them and us. And Jesus says to His disciples, “If you have seen Me you have seen the Father.” That is why everything in Scripture, and hopefully in Christian apologetics and evangelism, points to and centers upon Jesus Christ, Crucified and Risen whose life and work is testified to by the faithful and historically reliable witness of the Scriptures, the eye-witness of the disciples, apostles in the Church, in history and hostile witnesses outside of the Church in antiquity, and who was seen by James and Peter and over 500 other witness after His resurrection. Jesus is the best evidence, not only for the existence of God, but also for the truth of Christianity. 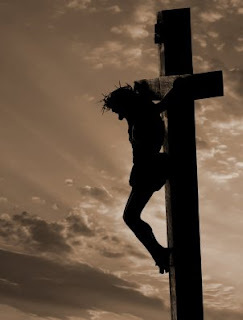 Jesus believed in God and claimed to be nothing other than God almighty come in human flesh and He backed that claim up by dying on the cross and rising from the dead. And he does it all for you. Don’t believe in God? You are not alone; Jesus still died for you. · The Case for Christ, Lee Strobel, Zondervan. · The Defense Never Rests: A Lawyer’s Quest for the Gospel, Craig Parton, CPH. 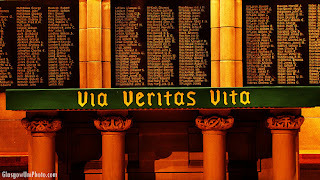 · Religion on Trial, Craig Parton, Wipf and Stock. · History, Law and Christianity, John W. Montgomery. · The New Testament Documents: Are They Reliable? F.F. Bruce, Eerdmans. Ever notice how much Jesus loves food? He’s the original foodie. And this shouldn’t surprise us; after all, He invented eating. God likes matter; He invented that too. Jesus’ motto isn’t so much, “build it and they will come” as it is, “feed them and they will come.” No wonder so many of the Gospel accounts revolve around Jesus eating. Jesus eating with His disciples; with tax collectors, prostitutes and outcasts – the more the merrier. From Zaccheus’ house to the feeding of the 5,000 and from Holy Thursday to Emmaus, Jesus loves breaking bread with sinners. And it’s all the better for us. The Church continues in her Lord’s tradition of Divine culinary excellence: “Peter, do you love Me?” “Yes, Lord.” “Feed my sheep. Feed My people with My Word and at My Table and never stop; for I will never run out.” For the disciples – in the 1st and 21st century - Jesus is always known in His Word and at His table. It’s as true today as it was in Emmaus. But the Emmaus disciples didn’t understand this…not yet. That’s where we meet these downcast disciples. A long 7 mile walk of shame back home. And as they walked that lonely road, they talked about all that had happened. The arrest, the trial, the crucifixion, the burial, that strange report from the women of the open, empty tomb, the angels, the news from Peter and John. But no sight of Jesus. They had hoped that He was the One. The Savior, the Redeemer of Israel. And now, they thought Him dead. The third day had come. But they were troubled, afraid to believe. Alone. Disappointed. Disillusioned. Bewildered. Confused and sad. But they weren’t the only ones out on that Emmaus road. A stranger caught up with them. It was Jesus, but their eyes were kept from recognizing Him. Note that. Their eyes were not blinded by grief or sin. Jesus concealed His identity. Jesus is still the Teacher. So, He listens in to hear what they say. And what they say to Jesus about Jesus betrays the fact that they do not yet take Him at His word. “He said He would die and in three days rise.” They’ve been counting. They knew it was the third day, and getting late. In spite of everything they had seen and heard and read – the miracles, the trial, the crucifixion, the news from the women, even Jesus’ own teaching – they still did not believe. “O foolish ones, and slow of heart to believe all that the prophets have spoken!” Jesus rebukes them. Their foolishness reveals their faithlessness. It wasn’t their eyes, but their hearts that were blind. Hearts weighed down by sin, alienated from God are slow to believe, even when they beat in the chest of a near relative and another close disciple. We’re no different. Our hearts do not naturally believe God’s promises. We are slow to believe His Word, alienated from God, turned away from God and turned inward on self. But that’s really the way we prefer it, a life empty of God and full of the stuff of this world, full of ourselves. Repent. Repent of living as if God did not matter, as if your neighbor did not matter and as if you mattered most. Come clean of your own unfaithfulness and be washed, be cleansed, be forgiven by the Holy Spirit. It is He who makes us new as Christ invades and enlivens by His Spirit. The dry ground of our hearts is pierced and plowed by His creative, two-edged sword – just as it was for the disciples. “Beginning with Moses and the Prophets, he interpreted to them in all the scriptures the things concerning himself.” He taught how to interpret the Scriptures. And by Scriptures, Jesus means the Old Testament. It’s not just about Jesus; it is Jesus. That’s all there is to know about the OT – what’s it all about? Jesus – everything from His birth to His ascension is foretold by Moses, the Psalms and the Prophets – it’s all there. Every jot and tittle points to Him; is fulfilled in Him. He is the key, the center, the hub, the Word without which all words in the Old Testament fail and fall empty, like those disciples’ hopes on the Emmaus road. This is no book of rules or owner’s manual. But God’s revelation of His Son, the living voice of God. You hear the Word, you hear Jesus. 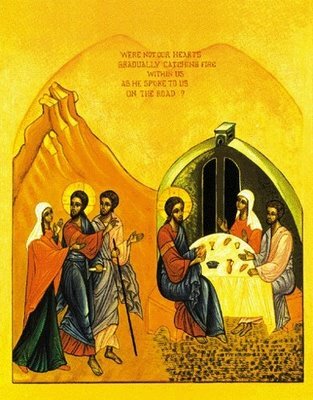 The Emmaus disciples knew exactly where to find Jesus – in the Scriptures and in the Breaking of the Bread. It’s no different for us. Jesus is known in His Word and at His Table. You want an Emmaus road experience too? Go to Bible study. Read, mark, learn and inwardly digest this wholesome Word; you can’t eat enough of this Bread. Come and hear. Sing. Receive. Rejoice. For Jesus lived the life you cannot live. He died the death you cannot die, the death that defeats death itself – all for you. For all the days and hours you live for yourself, Jesus lived every day, every hour to rescue you from sin death and hell forever. And if that wasn’t enough, He comes and feeds you. You want to recognize Jesus? Go where He’s promised Himself to be; Go where He locates Himself – in the Supper, the Eucharist, the Sacrament of the Altar, in His body and blood given and shed for you for the forgiveness of your sins. Jesus is there; He says so Himself. More than anything else, Jesus loves dining with sinners. Feeding you; serving you; saving you. Eating and feasting with Jesus. That’s what the new creation is all about. And here on earth, in Christ’s Church, the party – the Feast of feasts - gets started early. For as good as the joy of hearts warmed is –it is far better to know who that joy and passion comes from; and far better still to know that even on days you don’t feel joy or burning clarity of God’s Word – or when you’re disillusioned, dejected, bewildered or alone – Crucified and Risen Jesus is still walking beside you on the road, speaking His Word to you; revealing Himself for you in the Breaking of the Bread. Here in this place, in these Scriptures, at this altar, in your ears, in this water – the Emmaus miracle happens every Sunday. Week in and week out, His Spirit-breathed Scripture fills the liturgy. His Divine Service is our Emmaus road from sorrow to joy, from death to life. Much more deserves be said than will now be written. But suffice it for this tonight to thank God for our mothers, a truly, Godly vocation. To my mother - I am infinitely grateful. And to my wife, a mother-to-be in June, it is a privilege to share in your inestimable joy as I cherish the knowledge that you are already the portrait of a Godly mother. So, here is a little video tribute for my two favorite Lutheran mothers (and all you other mother's out there) from my good friend, Pastor Hans Fiene. Consider it a video that speaks a thousand words and then some. To all the faithful women, indeed! A blessed mother's day to you all. In the Name of Jesus. Would that more churches remembered (or even bore the name) of St. Athanasius. Today marks the commemoration of St. Athanasius of Alexandria, Pastor and Confessor. He stood firmly against the hordes of Arians (no, not the wrist-raising types, the anti-christ types) at Nicaea and continued to defend Christian orthodoxy through his preaching, teaching and writing, none perhaps more famous - and quite deservedly so - than his Treatise De Incarnatione Verbi Dei, or simply, On the Incarnation. His life, marked by attempted murder and continuous exile, is a reminder that the Church of Christ and her saints, are never promised "your best life now" in this life. 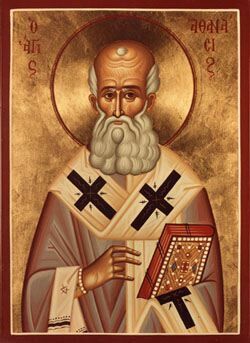 In spite of this, Athanasius stands as a pillar of the faith precisely because it was Christ that upheld him and Christ whom he pointed to. How should we commemorate this faithful saint? 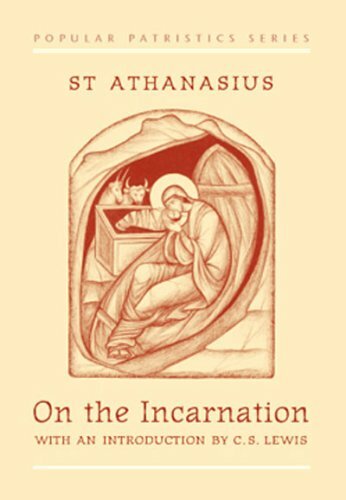 You can learn more about St. Athanasius here. You can read and confess the creed that bears his name, although it was not written by him, but echoes in the same refrain of Christian orthodoxy. And, for the record, the Athanasian Creed should be said, read, marked and inwardly digested more than one day a year by the Christian Church. You can, in the words of C.S. Lewis, sit back with a pencil and a pipe in hand and enjoy a good old book (and to that I would add your particular choice of tasty beverage from the vine or field, hops or wheat and so forth). Or you could pick up the book itself and check out the words of Athanasius. 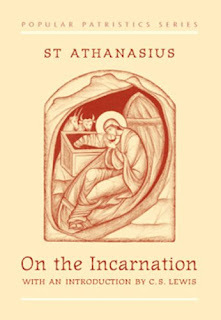 On the Incarnation is exquisite, sublime and yet simply lucid - not to mention brief, which is one of its strengths. As Lewis points out, "the layman and the amateur [as well as the instructor, etc.] needs to be instructed as well as to be exhorted. In this age his need for knowledge is particularly pressing. Nor would I admit any sharp division between the two kinds of books. For my own part I tend to find the doctrinal books often more helpful in devotion than the devotional books, and I rather suspect that the same experience may await many others." 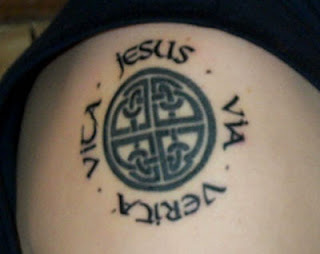 His epitaph is Athanasius contra mundum, "Athanasius against the world." We are proud that our own country has more than once stood against the world. Athanasius did the same. He stood for the Trinitarian doctrine, "whole and undefiled," when it looked as if all the civilized world was slipping back from Christianity into the religion of Arius - into one of those "sensible" synthetic religions which are so strongly recommended today and which, then as now, included among their devotees many highly cultivated clergy. It is his glory that he did not move with the times; it is his reward that he now remains when those times, as all times do, have moved away. When I first opened his De Incarnatione I soon discovered by a very simple test that I was reading a masterpiece. I knew very little Christian Greek except that of the New Testament and I had expected difficulties. To my astonishment I found it almost as easy as Xenophon; and only a master mind could, in the 4th century, have written so deeply on such a subject with such classical simplicity. Every page I read confirmed this impression. His approach to miracles is badly needed today, for it is the final answer to those who object to them as "arbitrary and meaningless violations of the laws of Nature." They are here shown to be rather the re-telling in capital letters of the same message which Nature writes in her crabbed cursive hand; the very operations one would expect of Him who was so full of life that when He wished to doe He had to "borrow death from others." The whole book, indeed, is a picture of the Tree of Life - a sappy and golden book, full of buoyancy and confidence. - C.S. Lewis, Introduction to On the Incarnation, MacMillan, 1949.